James Anthony (Tony) Mulvihill, railwayman, party official, and environmentalist, was born in North Ryde, Sydney, on 27 April 1917. He was the only child of James Bernard (Jim) Mulvihill and Agnes Ellen, née McNamara. His father, Jim, worked for most of his life at the gasworks at Mortlake, at that time a community with many Irish and English gas and railway workers. He was an ironworker’s assistant and a trade union activist, and industrial affairs were commonly discussed in the home. Although Jim was relatively well paid for his job and was in work through the Depression years, money was scarce and the family lifestyle frugal. Tony Mulvihill was educated at St Mary’s School, Concord, and later at De La Salle College, Ashfield. Although only an average student, he was a keen sportsman who subsequently played football and cricket for local clubs for many years. He left school at fifteen after gaining his intermediate certificate. More important to him than formal education was his success in an essay writing competition for the Burwood School of Arts. This gave him a year’s unlimited access to a local library, which he ‘put to good use’, becoming ‘an avid reader’ of history and politics. Mulvihill initially had trouble finding work. Approaching the Westinghouse Brake Company, a big local employer, he was told not only that there was no job for him but that the police would be called unless he left the premises immediately. ‘I never forgot that’, he later recalled. ‘It was burnt into my soul’. In 1935 Mulvihill obtained permanent employment at the Eveleigh railway workshops where he later became secretary of an Industrial Group. He subsequently worked as a locomotive fireman and an overhead crane driver, and continued his self-education at the ‘very good’ Railway Institute Library. Becoming involved in the Australian Railways Union (ARU), Mulvihill joined the Concord branch of the ALP in 1943, and was branch president from 1947 to 1956. 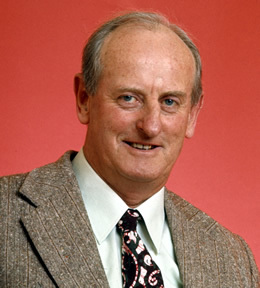 He was a protégé of the New South Wales MLA, Bill Carlton, Mulvihill acted as Carlton’s campaign director on a number of occasions. Fred Daly (MHR Martin 1943–49, Grayndler 1949–75) was another early influence. Mulvihill also served as a delegate to the local state and federal electorate councils. In the ARU, he became a shop steward, sub-branch official, branch trustee and a delegate to the Labor Council of New South Wales. He schooled himself in the art of chairing meetings. Mulvihill’s union activities brought him to the attention of the ARU state secretary and ALP President, J. A. Ferguson, under whose aegis he was elected to the party’s New South Wales executive in 1951, when the first manifestations of the Labor Split were becoming apparent. Although a Catholic and, like Ferguson, an early supporter of the Industrial Groups, he objected to the Groupers’ growing extremism and tendency to displace competent anti-communist union officials, simply because they were not Group supporters. When the Industrial Groups gained control of the ARU, Mulvihill was removed from his Labor Council position. At the state ALP’s June 1952 annual conference the ALP Industrial Groups and their Australian Workers’ Union allies routed the old executive, Ferguson having resigned in April, and Mulvihill was not re-elected to the New South Wales executive. He returned to the executive later that year, through a casual vacancy, but at the 1953 conference Mulvihill was dropped from the official ticket for the executive after accusing the ruling faction of giving encouragement to corrupt ‘careerists and schemers’ in local government and in Parliament. In August 1955 a state conference was held under federal ALP auspices in an attempt to bring unity to the Labor Party in New South Wales. By now the anti-Group faction in the ARU was temporarily back in control and Mulvihill was an influential member of its delegation to the state conference. In June 1956 the Federal Executive intervened, helping to set up a so-called balanced state executive, with Mulvihill as assistant general secretary. Hard-working, capable and reliable, Mulvihill held the position until 1964, establishing a close working relationship with former Grouper W. R. Colbourne, who remained as secretary. In this way, he played a key role in maintaining stability in the New South Wales branch, and ensuring that the disastrous split in the Victorian branch was not repeated in New South Wales. In December 1964 Mulvihill was elected as an ALP senator for New South Wales; he was sworn in the Senate on 17 August 1965. A long-time supporter of E. G. Whitlam, Mulvihill spent most of his time in the Senate on the Opposition benches. A staunch defender of workers’ rights and trade unions, his first speech dwelt on wider issues, including health, Asian nationalism and, in particular, two subjects he would pursue relentlessly in the years to follow: the environment, and the rights and interests of migrants. As a shop steward in the Chullora railway workshops in the early 1950s, Mulvihill had become interested in the problems of migrant workers and he was a pioneer in taking up their cause. Mulvihill formed strong links with the Yugoslav community, especially those from Slovenia. He was convinced that the Australian security services were over-zealous in their surveillance of some Yugoslav groups because of Yugoslavia’s communist government, while paying little attention to Croatian extremists. This, he alleged, had led to a number of injustices in regard to the denial of Australian citizenship and passports. He used his membership of the Senate Select Committee on Civil Rights of Migrant Australians (May 1973 to April 1974) to vigorously pursue these issues. He also had close connections with the Greek and Italian communities, and in later years championed the rights of South American refugees. From February 1973 to June 1974, Mulvihill served as chairman of the Commonwealth Immigration Advisory Council. He took particular pride in his success, after a thirteen-year campaign, in having a memorial erected to those of all nationalities who lost their lives during the construction of the Snowy Mountains Scheme. Officially unveiled in 1981, the memorial proved, he said, ‘to people with non Anglo-Saxon names that they were really accepted as Australians’. the first person to make conservation an issue in the Labor Party in my State of New South Wales. I can remember that years ago he would rise at conferences and state councils and start talking about the Cape Barren goose, the red kangaroo or dingoes. We would all laugh at him. But by the time he left the Parliament, he was still speaking about those things at our conferences and nobody was laughing at him. In the early 1960s, when Labor was in government in New South Wales, Mulvihill had tried unsuccessfully (due to opposition from the mining unions) to create a comprehensive system of national parks and a national parks service to administer it. Although aware of the political risks involved in antagonising the then powerful AWU, he was prominent in the campaign to save the Colong Caves from mining. Mulvihill was an early advocate of what became Kakadu National Park in the Northern Territory. Strongly opposed to uranium mining, he once described mining firms as ‘the rapists of the environment’. His battle to prevent waste from the Ranger uranium mine in Kakadu polluting the local rivers led to a plaque being erected in his honour in 1989. As well as being largely responsible for preserving the Cape Barren geese from extinction, he campaigned to protect other species such as kangaroos, koalas, wallabies and whales. Shadow Minister for the Environment from January 1976 to December 1977, Mulvihill’s trailblazing work and breadth of vision played a part in the positive changes of attitude towards the environment then occurring. During a period in which the Senate committee system expanded, Mulvihill was an indefatigable worker on no less than eighteen committees. As he said later, in regard to the highly important Select Committee on Water Pollution (1968–70), information acquired through that committee provided him with ‘ammunition’ to pursue his cause. Referring to the bipartisan nature of this committee, he paid tribute to Liberal senators, Peter Rae and Gordon Davidson, and described how he and Rae had agreed to tackle two state premiers on the shortcomings of state water policies. Mulvihill added that the select committee marked ‘the beginning of a new era as far as anti-pollution legislation was concerned’. On 5 June 1970, Mulvihill married Pamela Dawn O’Connell, in St Canice Catholic Church, Elizabeth Bay. The couple later divorced, but remained friends. When Mulvihill’s health deteriorated, Pamela helped to find him a nursing home near to her own home in the Blue Mountains, so that she could visit him. Mulvihill did not stand at the 1983 general election, but remained active in retirement. A member of the National Population Control Council, and of the NSW Railway Superannuation Board, he maintained his involvement in union and party activities. As patron of the Native Dog Society, he and his pure bred dingo, Peter Pan, often joined the Australia Day parades in Sydney. He later made several visits to Canberra, which included his recording of an interview for the Parliamentary Library’s Oral History project. He also expressed a keen interest in the formative stages of the Senate’s Biographical Dictionary project, donating some of his papers for use in this entry. Mulvihill died on 10 December 2000, survived by Pamela. Mulvihill was a man of strongly held beliefs and strident crusades. He was prepared to take on any cause he believed in, no matter how unpopular. Although well-liked by many, he could play hard. Physical violence was sometimes part of union and factional disputes and Mulvihill, who was well built and over six feet tall (183 centimetres), was capable of ‘getting square’ with his antagonists. In a memorable denunciation, delivered shortly before his retirement, Mulvihill told the Senate how one of his factional enemies had targeted his fox terrier, Jeff, hitting the dog with a brick. Senator John Faulkner’s characterisation of him as an ‘eccentric’ and ‘colourful character’ ought not to obscure the fact that he was, in the words of Robert Ray ‘a very serious player’. Faulkner also described Mulvihill as ‘the first real conservationist’ to sit in the Senate, while Democrat Senator Bourne said that he ‘should never be forgotten for what he did for the environment’. Author interview with James Anthony Mulvihill, 3 June 1987; Personal papers of James Anthony Mulvihill, held privately; James Anthony Mulvihill, Transcript of oral history interview with Ron Hurst, 1985, POHP, CPL, TRC 4900/77, NLA, pp. 1:2–22, 1:26–8, 2:1–10, 2:18; Robert Murray, The Split: Australian Labor in the Fifties, Cheshire, Melbourne, 1970, p. 122; ALP, NSW branch, Biographical sketches, MLMSS 2083/400, item 1022 (KH 7400, folio 209), SLNSW. Mulvihill, Transcript, pp. 2:9, 2:22–8, 4:3–6; ALP, NSW branch, Central executive minutes, 1942–53, MLMSS 5095, items 464x–466x, SLNSW; ALP News (Syd. ), Aug. 1951, p. 2; Murray, The Split, pp. 41–2, 122–5; SMH, 3 June 1953, p. 12, 15 June 1953, p. 4. ALP, NSW branch, Central executive minutes, 1955–64, MLMSS 5095, items 467x–470x, Application of J. A. Mulvihill for position of Assistant General Secretary, MLMSS 2083/10, item 20, folios 491, 493–5 (KH 7010), SLNSW; Mulvihill, Transcript, pp. 2:26, 5:1–2, 5:5, 9:14–22; Murray, The Split, pp. 300–2; Graham Freudenberg, Cause for Power: The Official History of the New South Wales Branch of the Australian Labor Party, Pluto Press, Leichhardt, NSW, 1991, p. 234. CPD, 1 Sept. 1965, pp. 244–9. Mulvihill, Transcript, pp. 2:10, 4:7–16, 5:1, 11:7–10, 12:5–6, 13:23, 15:4–11; SMH, 19 Nov. 1971, p. 15; CPD, 1 Sept. 1970, p. 357, 30 Aug. 1973, pp. 332–3. Press release, ‘New Chairman Named for Immigration Advisory Body’, Minister for Immigration, 16/73, Address to Captive Nations Council of New South Wales, 1 Apr. 1973, Mulvihill file, CPL; CT, 5 Apr. 1978, p. 3; Sun-Herald (Syd. ), 3 Sept. 1978, p. 108; CT, 3 May 1980, p. 2; Mulvihill, Transcript, pp. 14:6–8, 15:21. Mulvihill, Transcript, pp. 10:23–6, 14:8, 15:1–2; CPD, 21 Aug. 1968, pp. 231–3, 29 Feb. 1972, pp. 292–4, 9 May 1972, pp. 1470–2, 8 Dec. 1971, pp. 2515–16, 31 May 1973, p. 2153, 3 May 1983, p. 137. ALP Journal (Syd. ), Oct. 1965, p. 27; SMH, 26 May 1978, p. 6, 23 May 1968, p. 2, 1 Aug. 1968, p. 8, 14 Oct. 1968, p. 7; Bulletin (Syd. ), 6 Mar. 1984, pp. 50–4; CPD, 8 Dec. 1971, pp. 2515–16; Information received from Zig Madycki, Project Officer, Kakadu National Park, NT; Mulvihill, Transcript, pp. 10:23–5, 13:18–20, 14:8, 14:17, 14:24–5, 15:2–3; SMH, 2 Oct. 1980, p. 6. Mulvihill, Transcript, p. 10:24; CPP, 98/1970. Australian (Syd. ), 6 June 1970, p. 3; The editor is indebted to the Catholic Office, St Canice Church, Elizabeth Bay; Age (Melb. ), 6 June 1970, p. 3; SMH, 19 Dec. 2000, p. 27; CPD, 6 Feb. 2001, p. 21323. CPD, 6 Feb. 2001, pp. 21323–32, 14 Dec. 1982, p. 3490. This biography was first published in The Biographical Dictionary of the Australian Senate, vol. 3, 1962-1983, University of New South Wales Press Ltd, Sydney, 2010, pp. 429-433.